Who doesn’t love Spring? With the British weather beginning to warm up after a long winter, the colourful springtime flowers beginning to bloom and the days growing steadily longer, Spring is the ideal time to treat yourself to a little get-away. A mini-break is the perfect way to take advantage of the sunshine, giving you some much-deserved time away from the pressures of daily life. Whether you want to spend that time with your special someone, with a group of close friends or family, or if you fancy getting away from it all with a solo trip, the North East of England is sure to capture your heart and provide you with some fantastic opportunities to make your get-away as special as possible. Picturesque countryside lies not far from the city buzz of Newcastle. Get some fresh air and go for a wander – or a hike if you are looking for a break with a little more activity – through this lush greenery. A country walk can give you the wonderful feeling of ‘getting back to nature’ and can provide you with some stunning photographs. Not only that, but quaint little countryside pubs and inns are dotted here and there, waiting for you with a warm welcome. A nice, refreshing pint or glass of wine and a delicious, hearty pub meal will keep you going! A Spring break is nothing without a little luxury when it’s time to get your head down for the night. 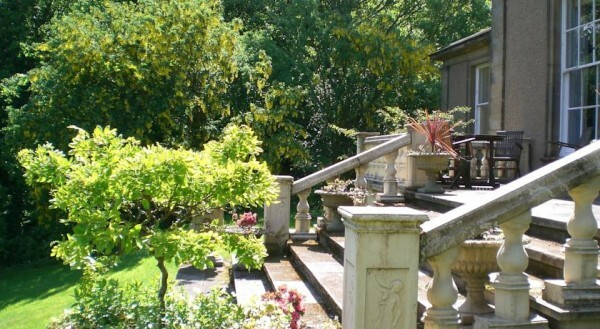 Why not try Hedgefield House, with our range of stunning, original Georgian rooms and superb, tranquil gardens. Our cosy yet stylish rooms will provide you with a comfortable, rejuvenating night’s rest, while the sumptuous breakfast in the morning will set you up for yet another day of leisurely exploring the North East.